WITH plans very much underway for the centenary edition of the Scottish Six Days Trial (SSDT), which will take place from 2 to 7 May 2011 inclusive, we would like to take this opportunity to invite you join us in what will be an historic and memorable week in the Scottish Highlands. 1. Applicants must be a current member of a recognised national/international media/press association and can prove the same by way of a valid membership card. 2. Applicants must be a permanent member of staff in a recognised media/press organisation and can prove the same by way of a valid business card or copy of their publication that clearly shows their relationship. 3. Applicants must have been commissioned directly by a press/media company or the local organiser to specifically cover this event, and can provide a letter from a director or editor to confirm the same. All applications will be thoroughly reviewed and only those that are deemed correct and appropriate will be granted. We reserve the right to refuse any application without the need for explanation, therefore no communication will be entered into in such circumstances. All applications must be received by noon on 22/04/11. For those members of the press / media who will be unable to attend the event, but still require access to SSDT FTP image server, please email your request to worldmedia@g2fmedia.com. Over the coming weeks, we will continue to provide regular releases regarding the 2011 event that will contain exclusive content written specially for the Scottish Six Days Trial. These pieces will hopefully provide an interesting insight to this great competition and will include interviews with some carefully selected riders. 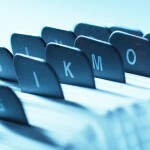 If you wish to receive regular updates, please email your contact details to worldmedia@g2fmedia.com. During the event itself we will provide twice daily updates and access to the official results as and when they are issued each evening. Bona fide press will also be provided with the facility to download a wide selection of high resolution copyright free images – for editorial use only – on a daily basis. In the meantime, and throughout the event, we remain available to answer any queries that may arise and to respond to any specific requests that you may have. 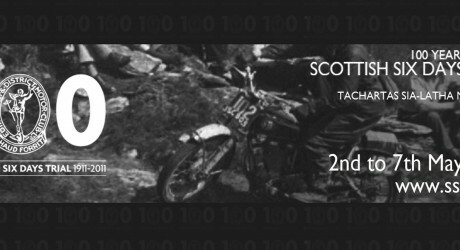 Marking its centenary, the 2011 Scottish Six Days Trial will take place in and around Fort William between Monday 2 and Saturday 7 May – for more details please visit http://www.ssdt.org. The event actually originated as a five-day reliability trial back in July 1909, before being extended to a six-day competition a year later. However, the start of the Scottish Six Days Trial (SSDT) proper as organised by the then newly formed Edinburgh and District Motor Club began in 1911. In those early years, the trial started and finished in Edinburgh with the route taking the riders to John O’Groats and back over the course of the week. Fort William was introduced as the hub for the event in 1938, although the start and finish remained in Edinburgh, which continued to be the case until all links with the Scottish city were cut in 1977. Today, the SSDT consists of six different daily routes that total approximately 500 miles, which begin and end in Fort William each day. 2010 – Alexz Wigg – Beta 2009 – Dougie Lampkin – Beta 2008 – Dougie Lampkin – Beta 2007 – James Dabill – Montesa 2006 – Graham Jarvis – Sherco 2005 – Sam Connor – Sherco 2004 – Graham Jarvis – Sherco 2003 – Joan Pons – Sherco 2002 – Amos Bilbao- Montesa 2001- Cancelled – Foot + Mouth 2000 – Steve Colley – Gas Gas 1999 – Graham Jarvis – Bultaco 1998 – Graham Jarvis – Scorpa 1997 – Steve Colley – Gas Gas 1996 – Dougie Lampkin – Beta 1995 – Dougie Lampkin – Beta 1994 – Dougie Lampkin – Beta 1993 – Steve Colley – Beta 1992 – Steve Colley – Beta 1991 – Steve Saunders – Beta 1990 – Steve Saunders – Beta 1989 – Steve Saunders – Fantic 1988 – Steve Saunders – Fantic 1987 – Jordi Tarres – Beta 1986 – Thierry Michaud – Fantic 1985 – Thierry Michaud – Fantic 1984 – Thierry Michaud – Fantic 1983 – Toni Gorgot – Montesa 1982 – Bernie Schreiber – SWM 1981 – Gilles Burgat – SWM 1980 – Yrjo Vesterinen – Montesa 1979 – Malcolm Rathmell – Montesa 1978 – Martin Lampkin – Bultaco 1977 – Martin Lampkin – Bultac 1976 – Martin Lampkin – Bultac 1975 – Mick Andrews – Yamaha 1974 – Mick Andrews – Yamah 1973 – Malcolm Rathmell – Bultac 1972 – Mick Andrews – Ossa.